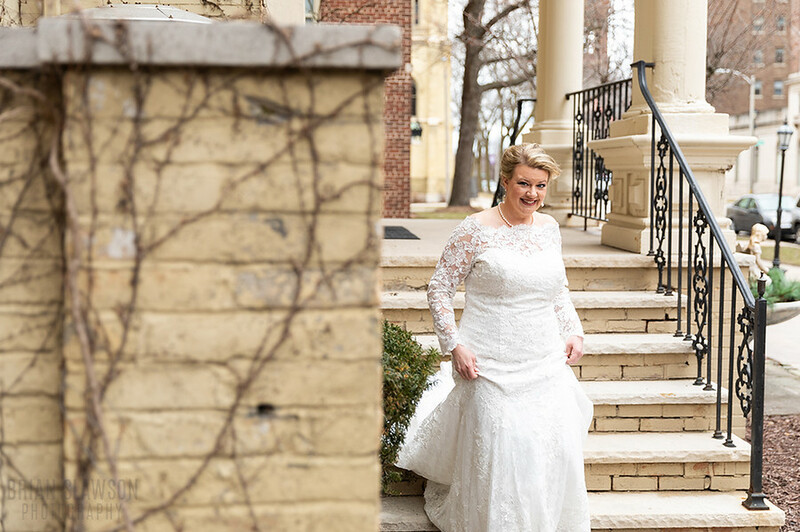 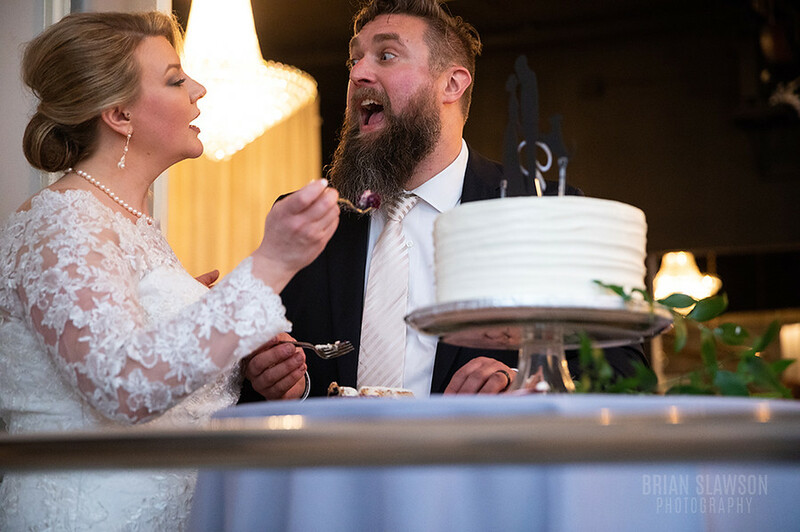 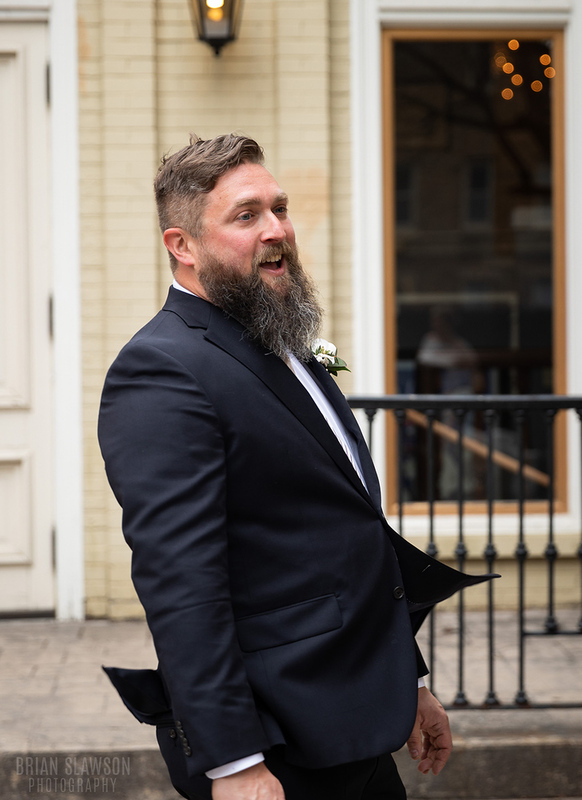 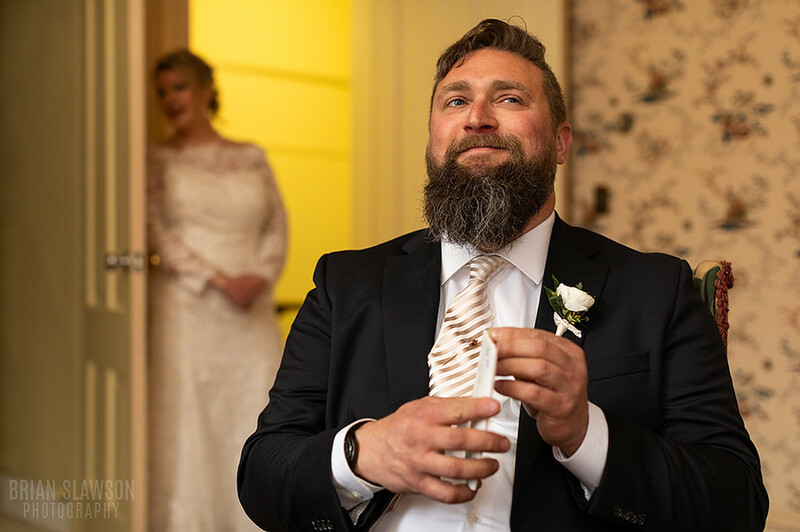 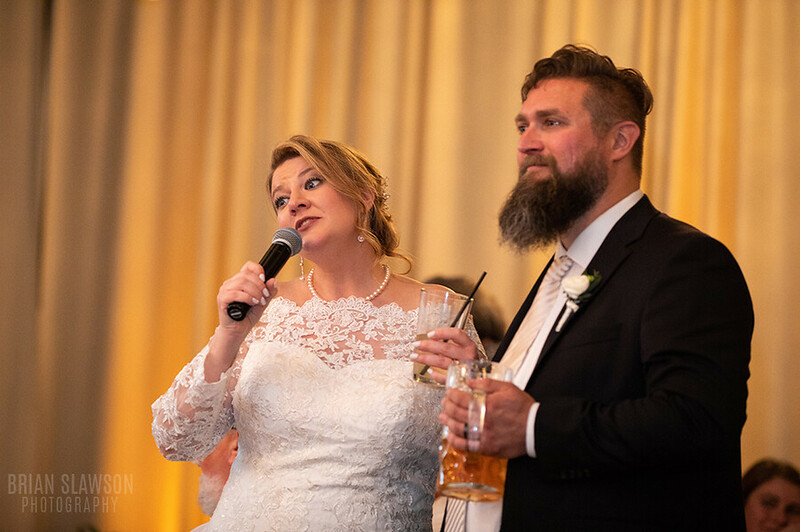 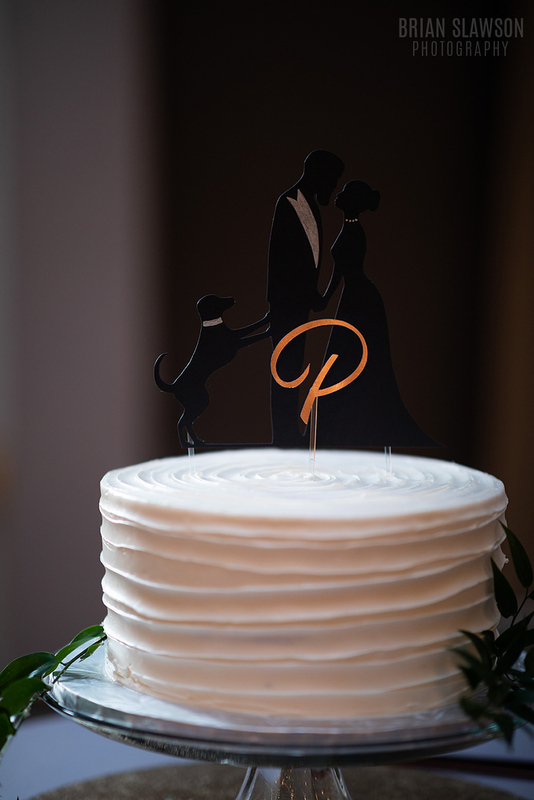 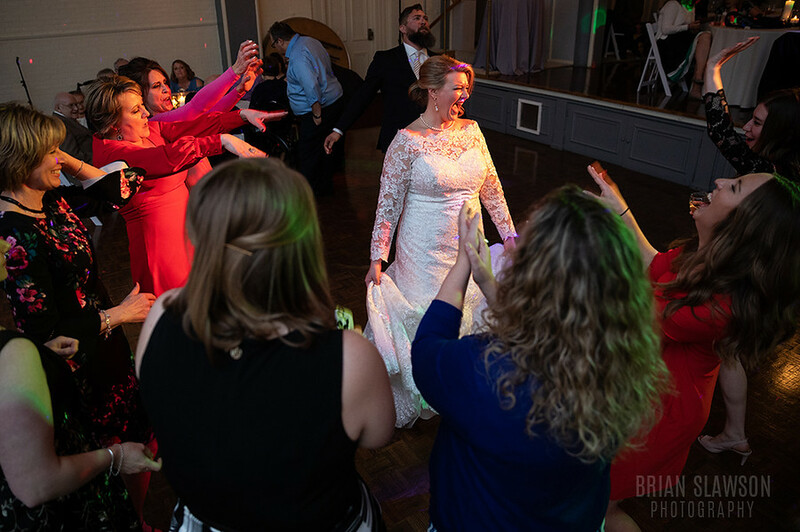 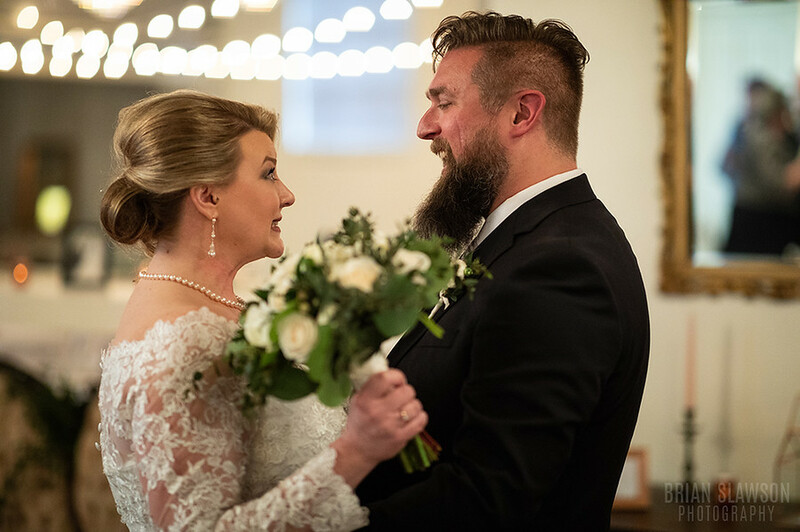 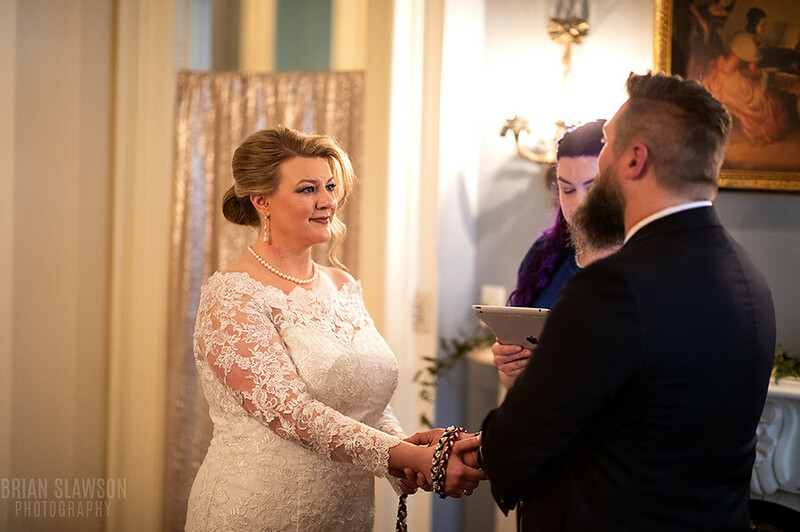 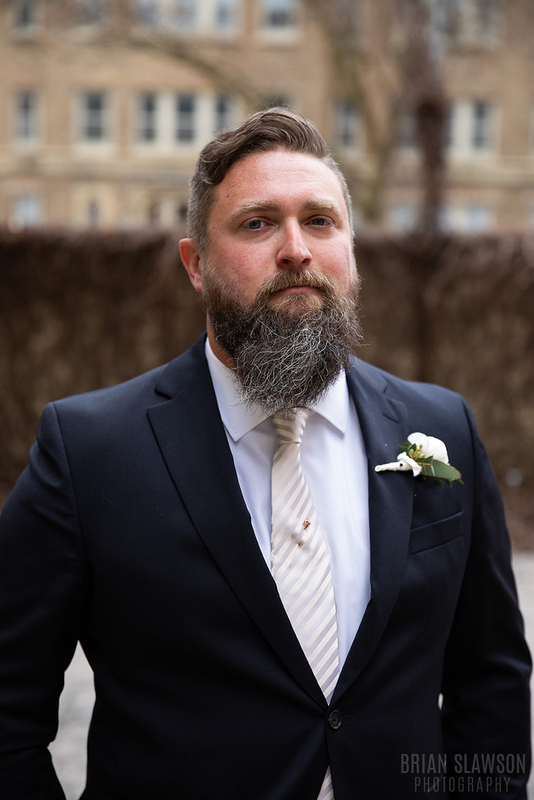 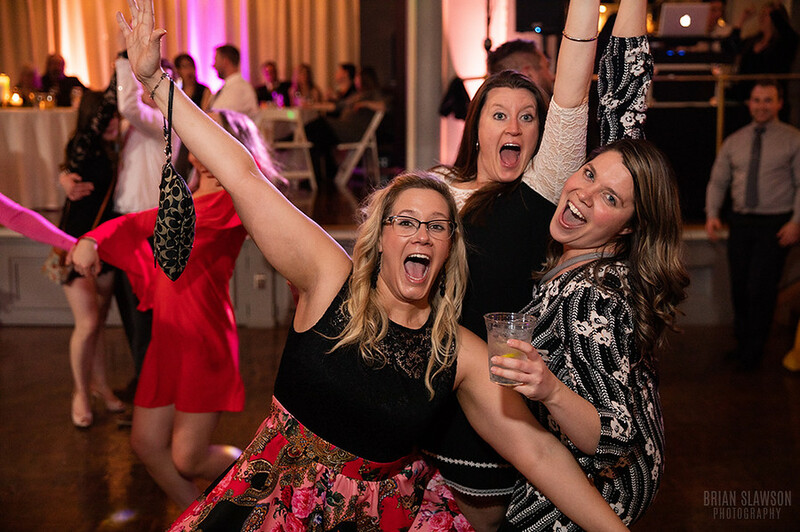 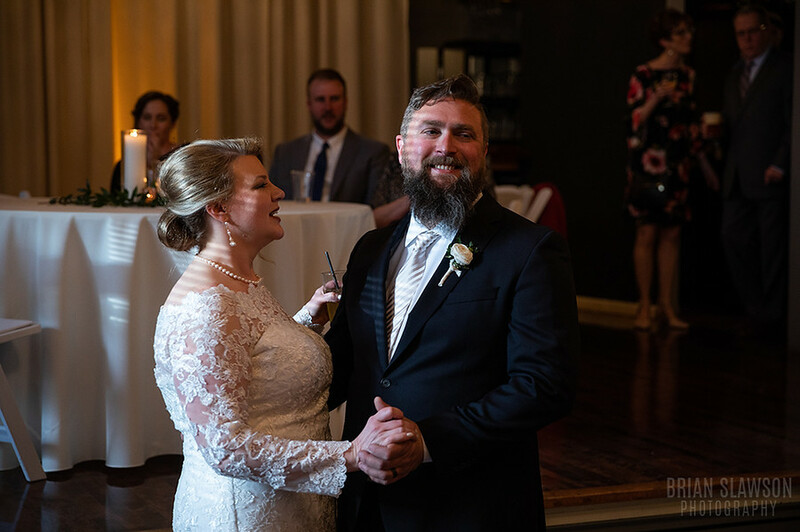 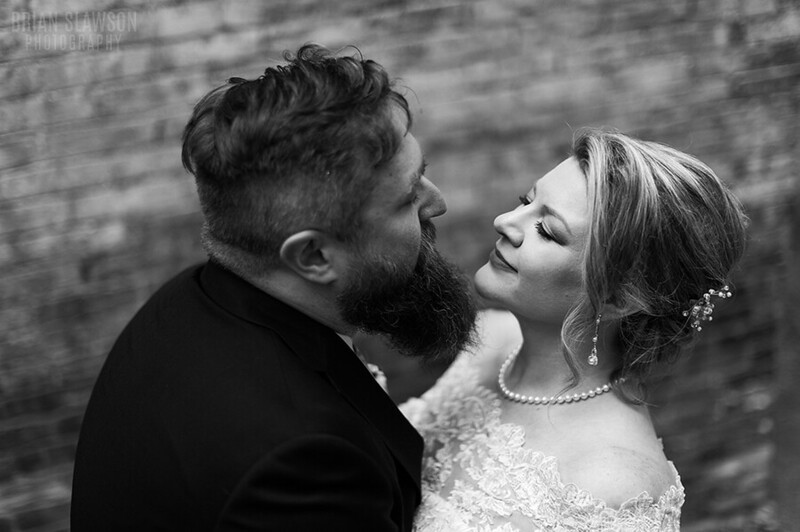 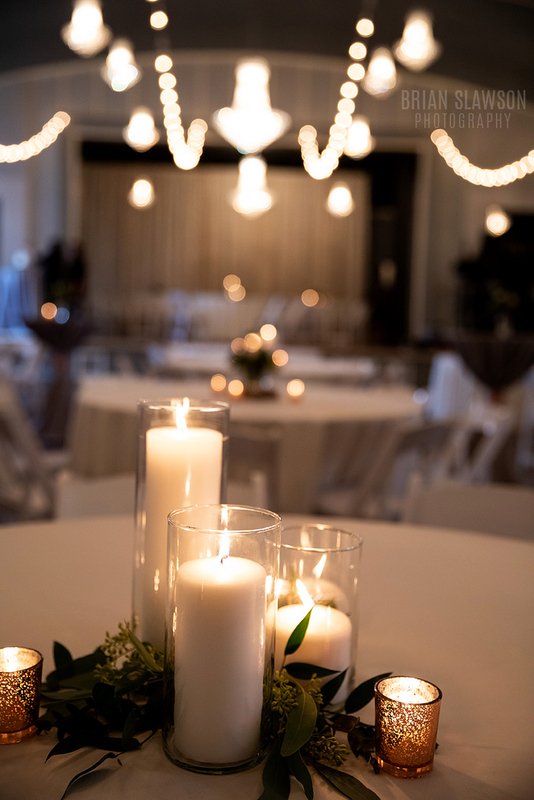 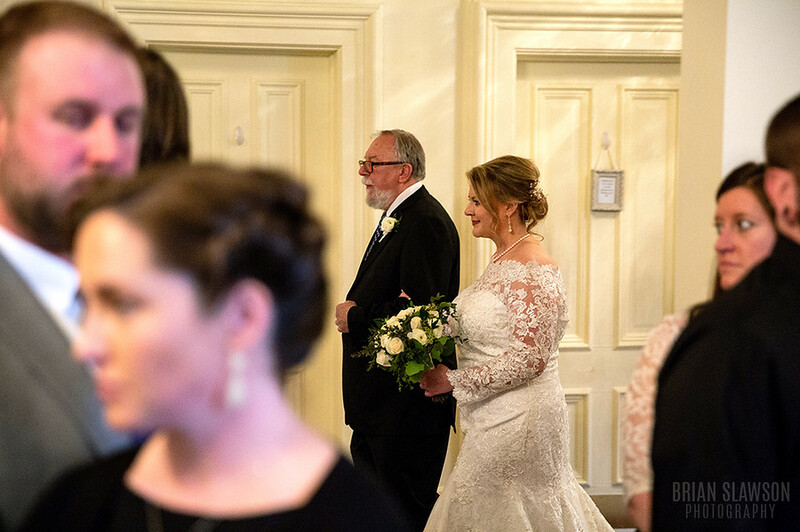 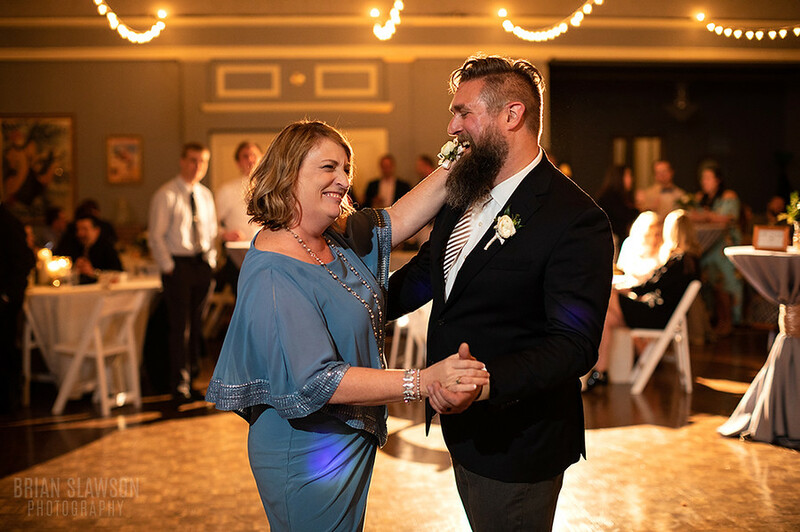 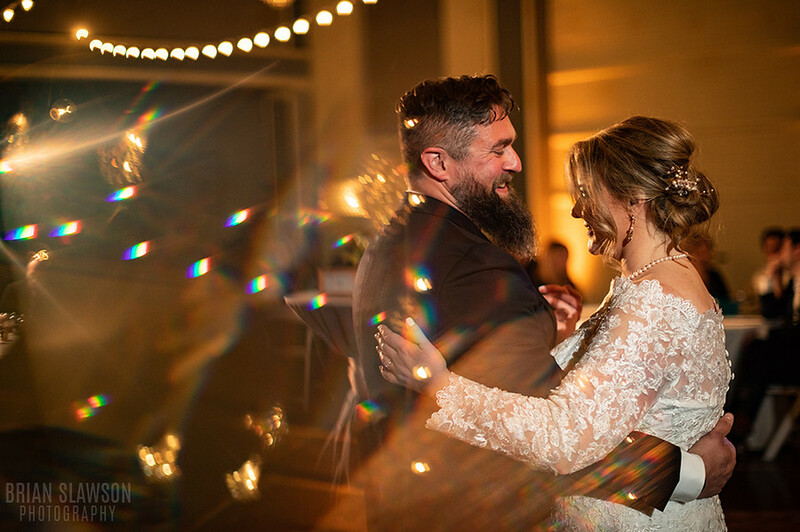 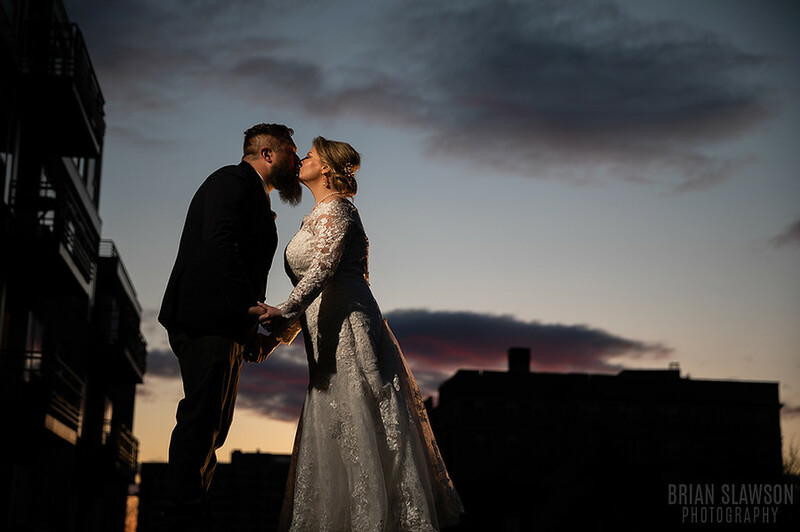 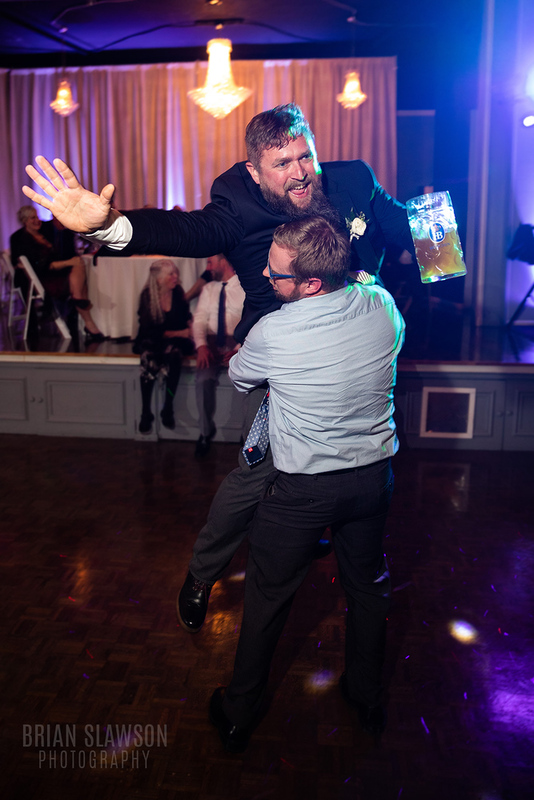 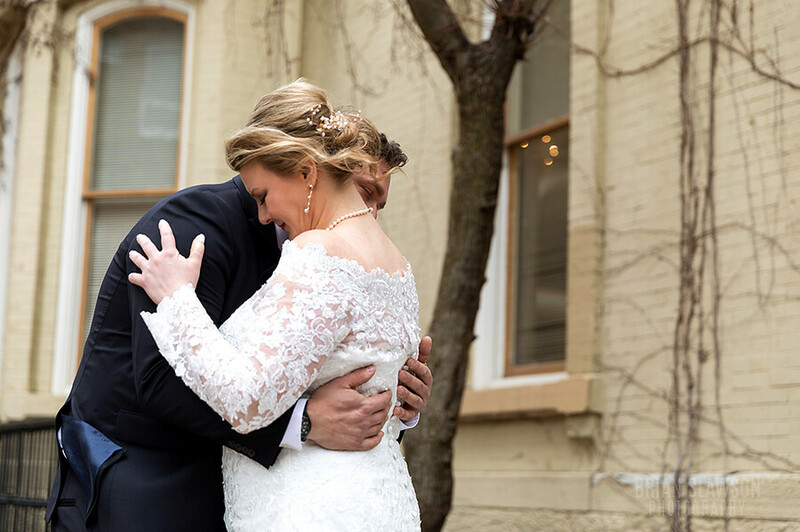 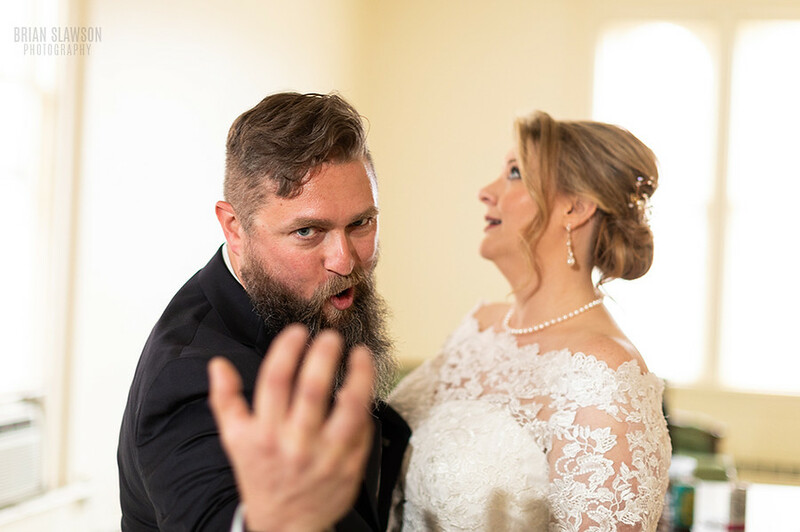 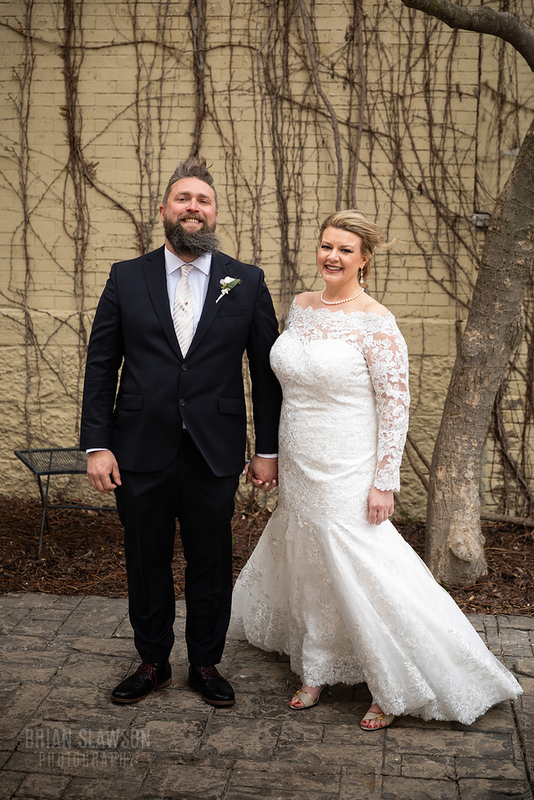 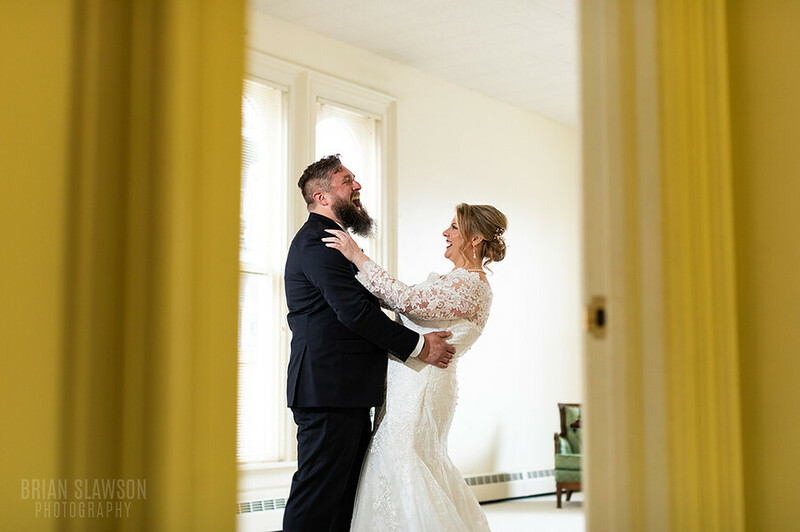 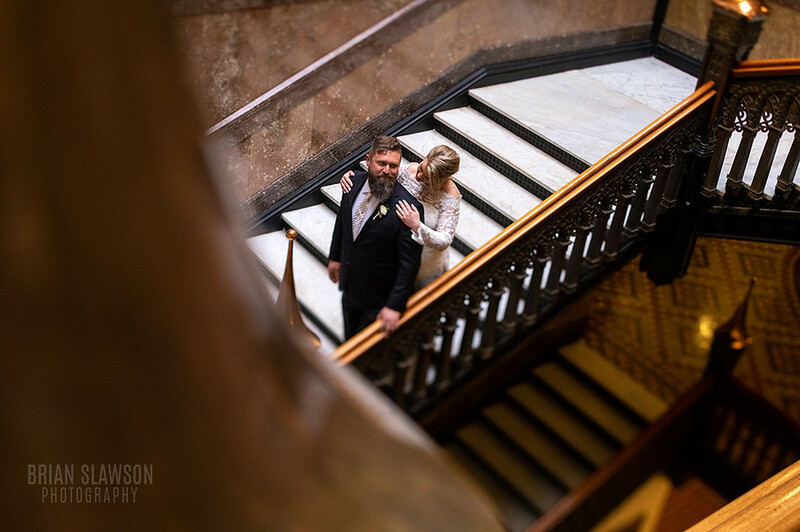 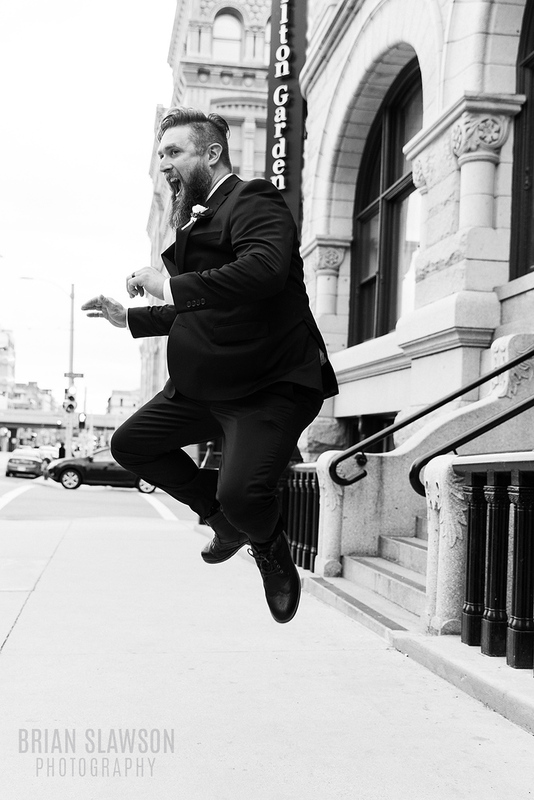 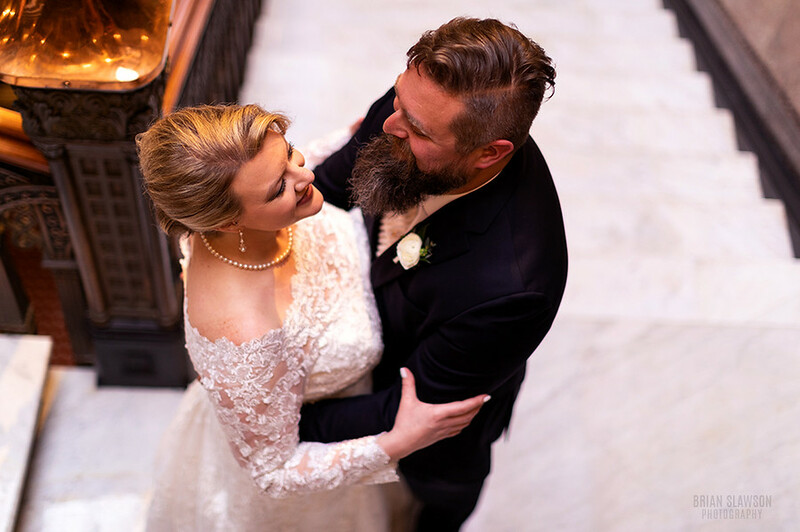 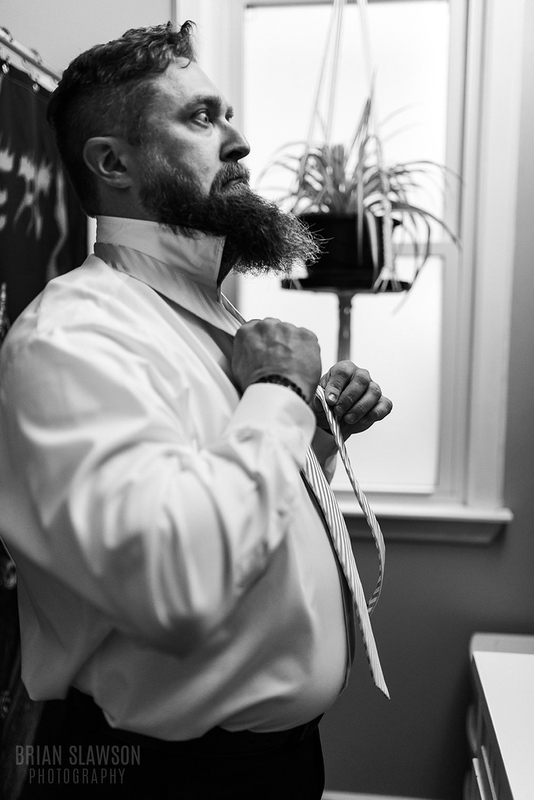 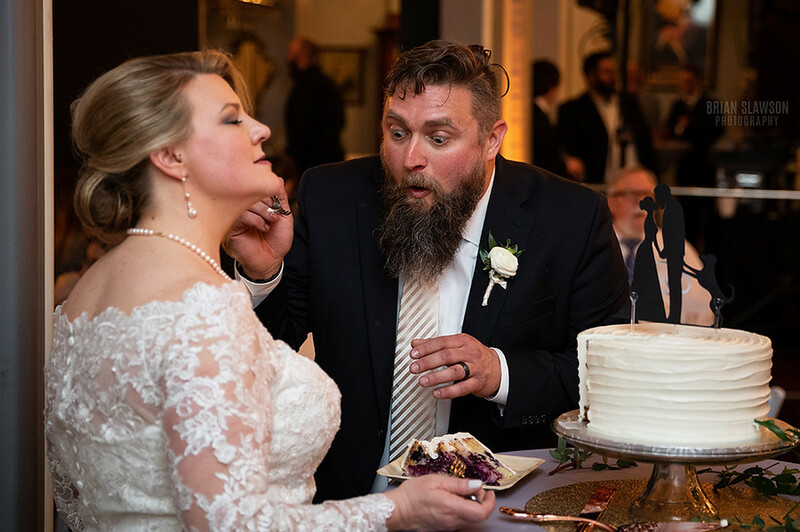 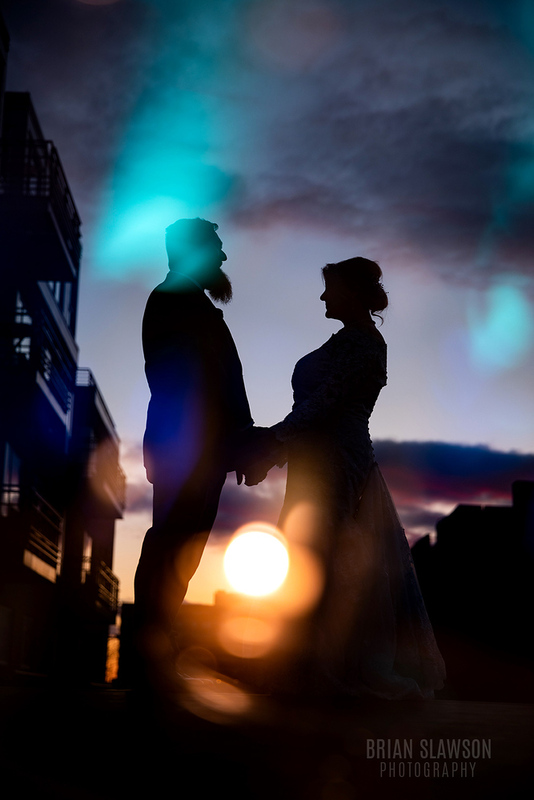 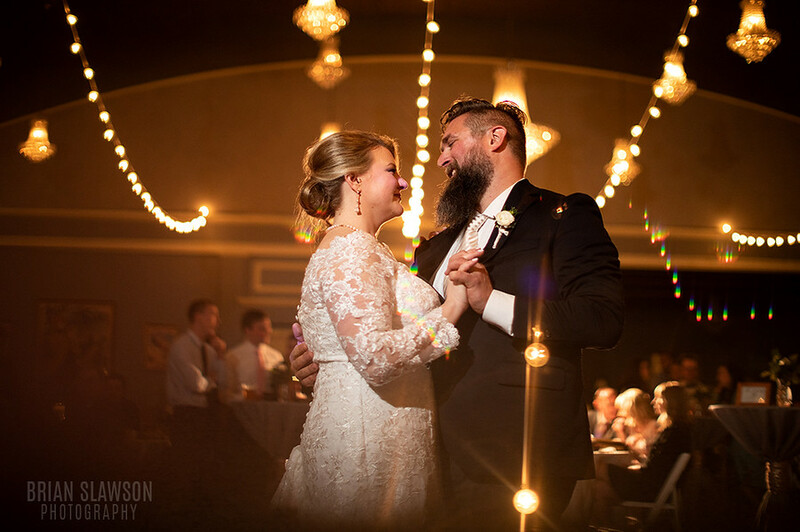 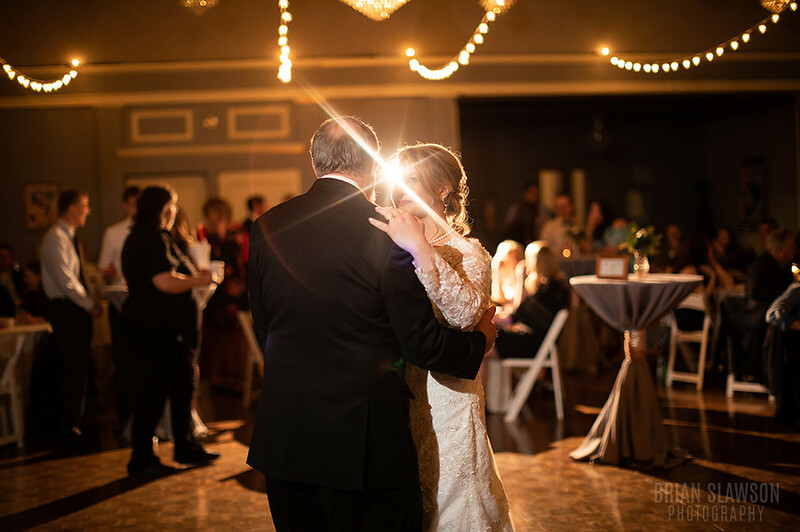 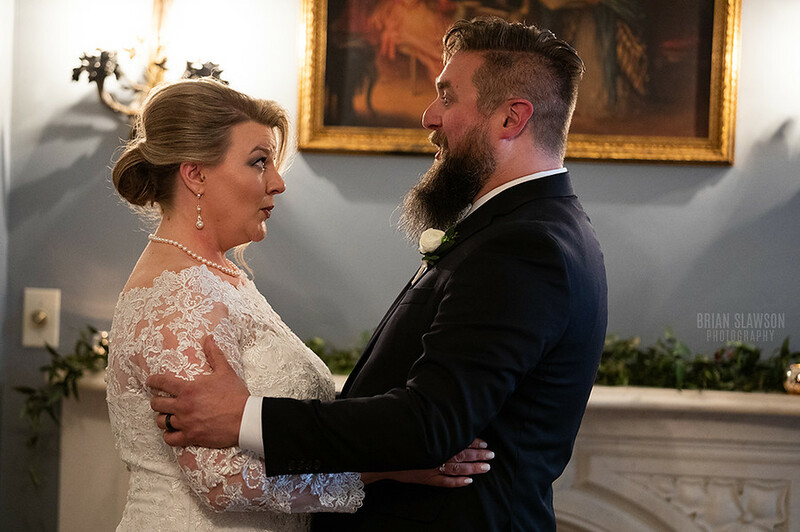 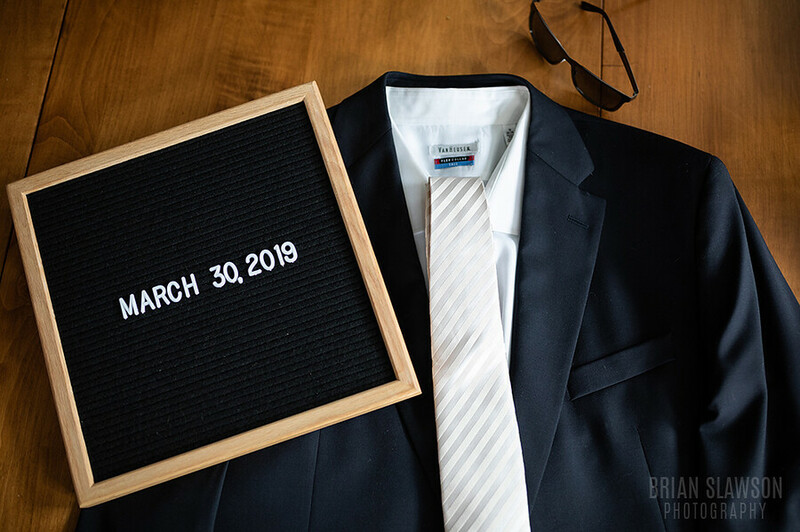 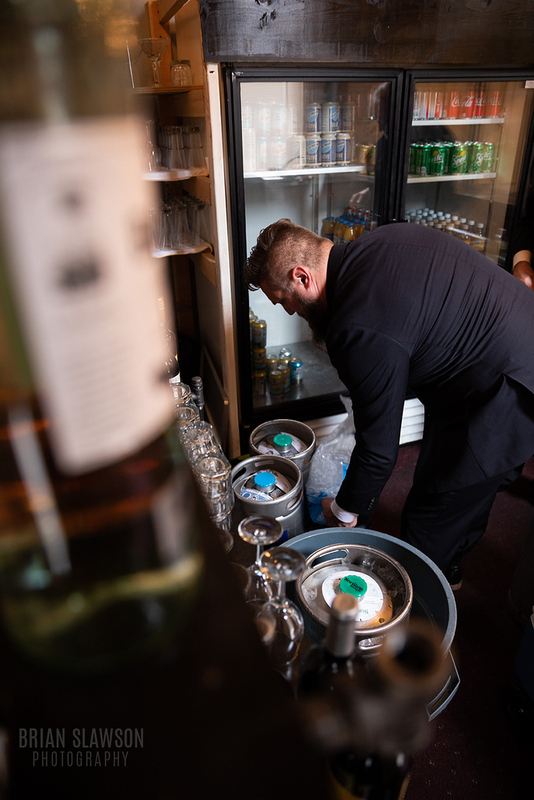 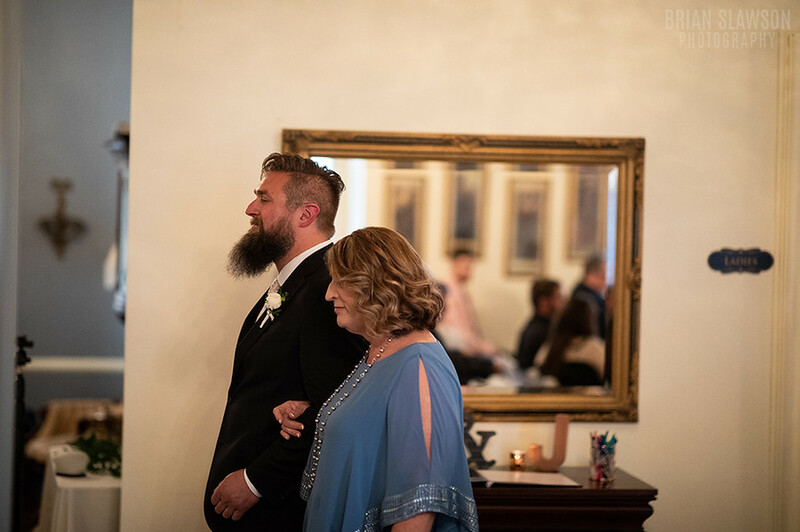 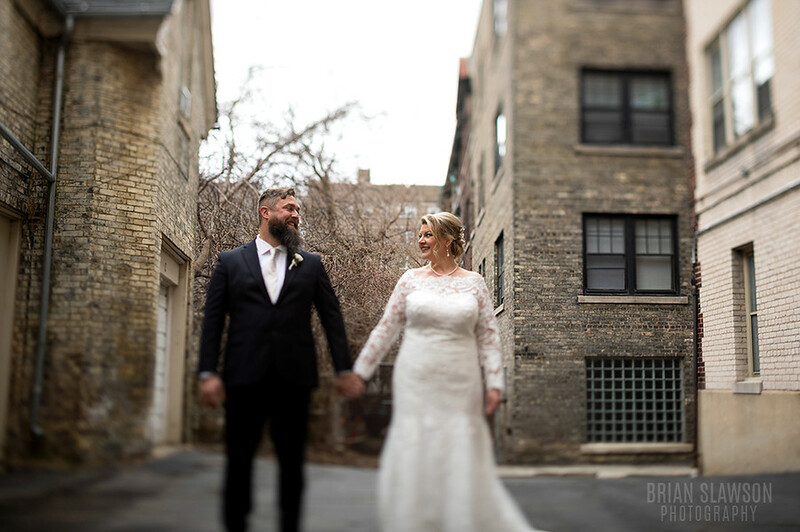 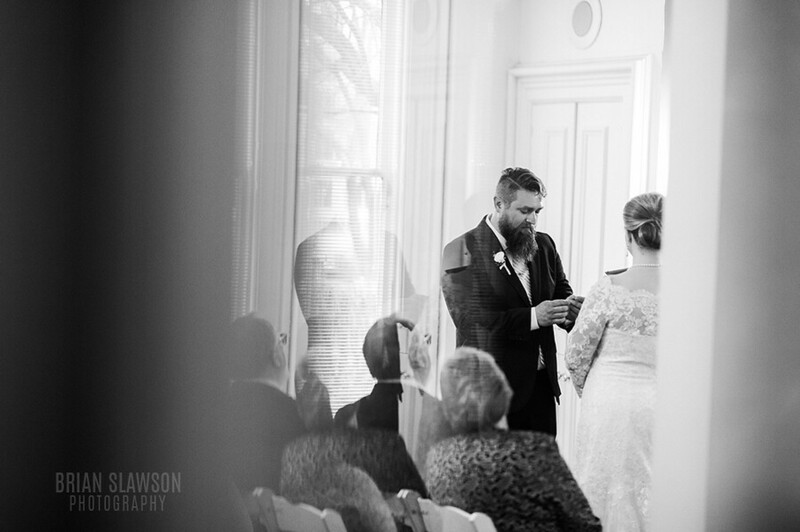 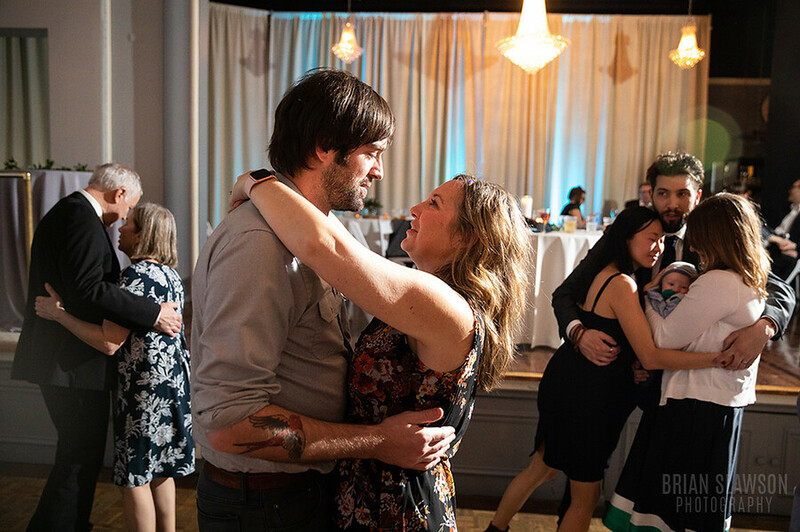 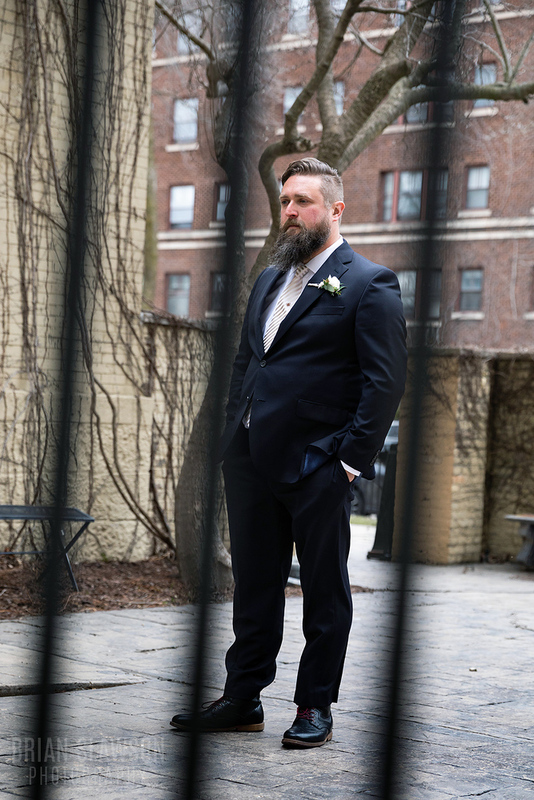 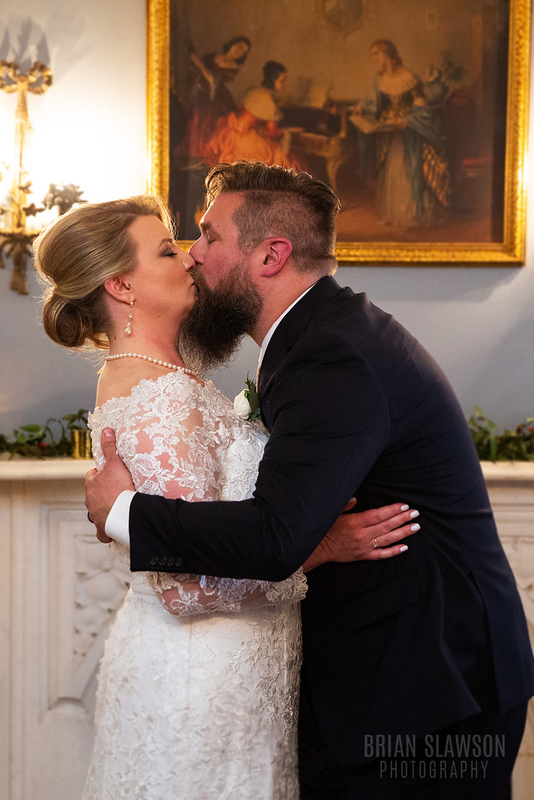 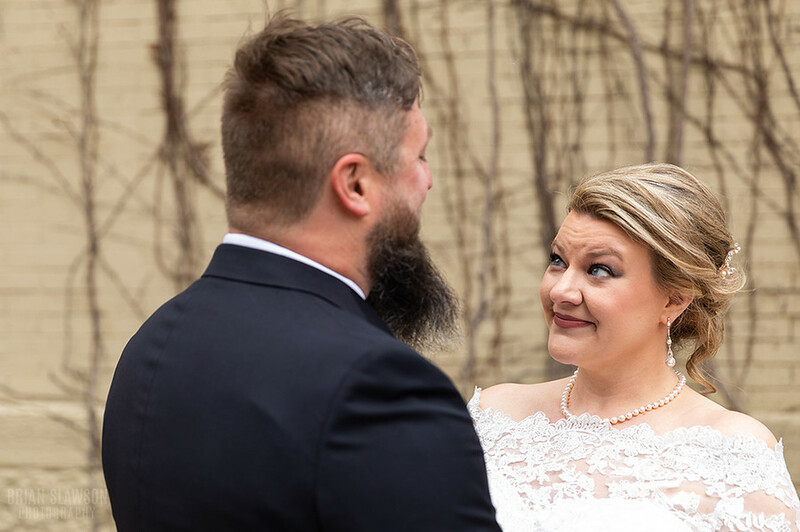 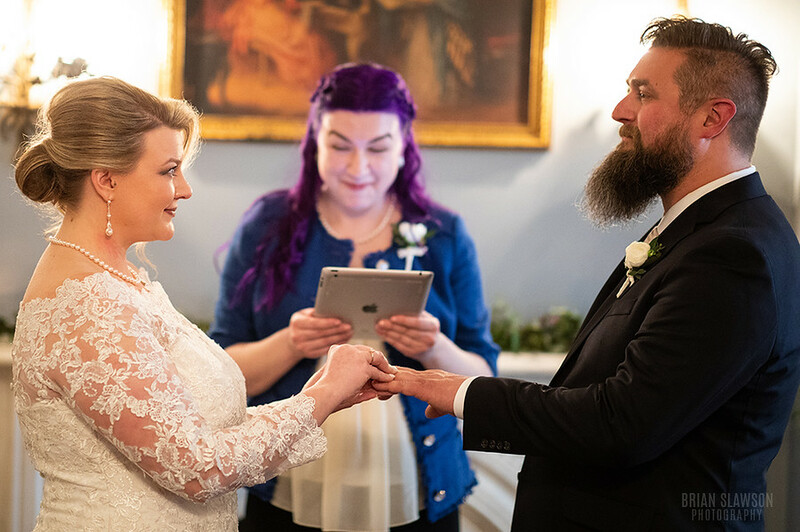 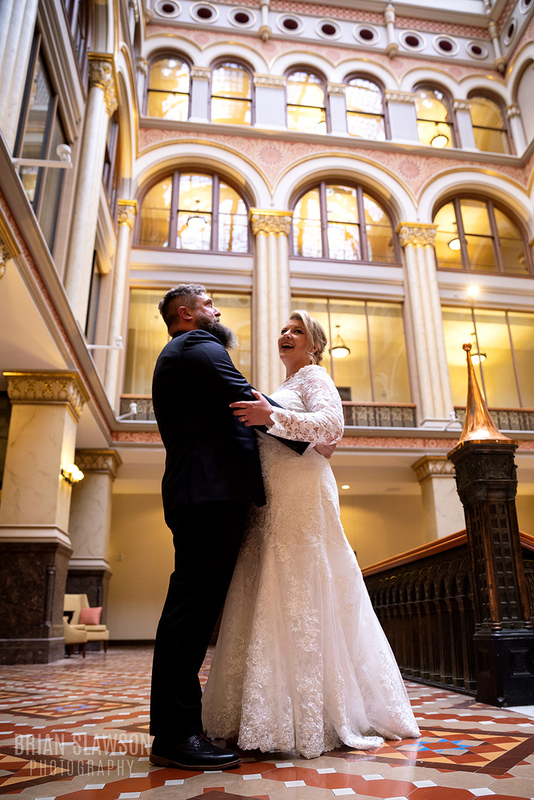 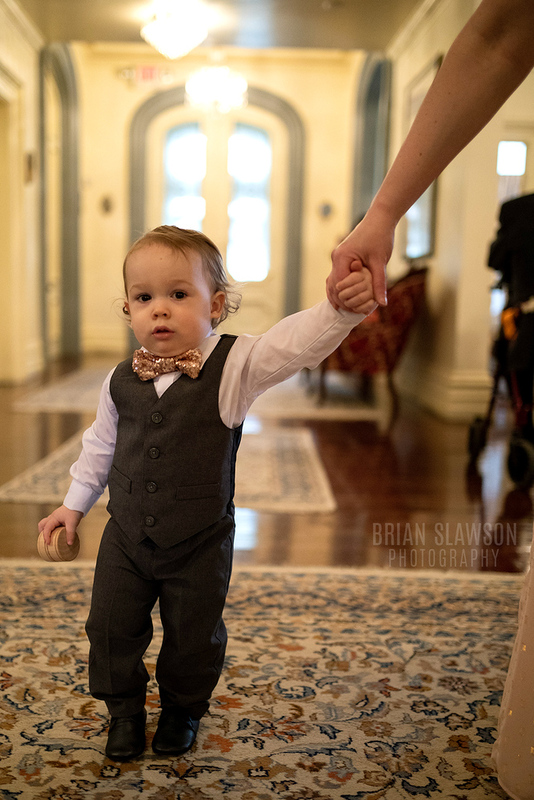 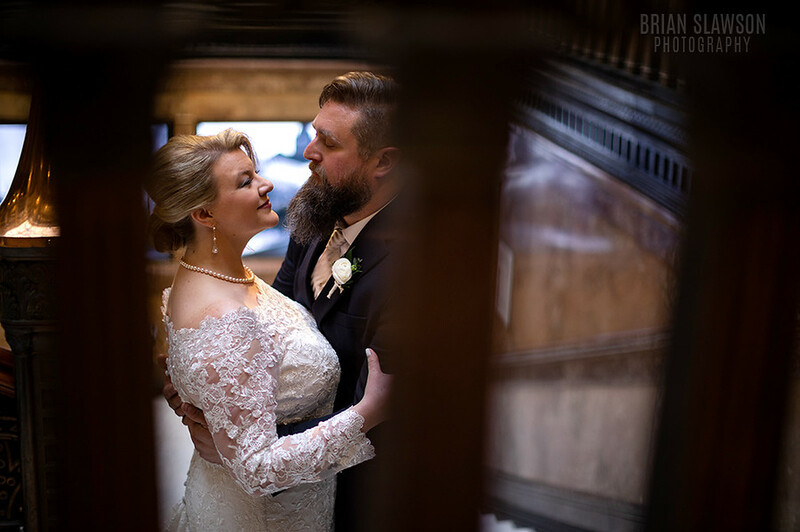 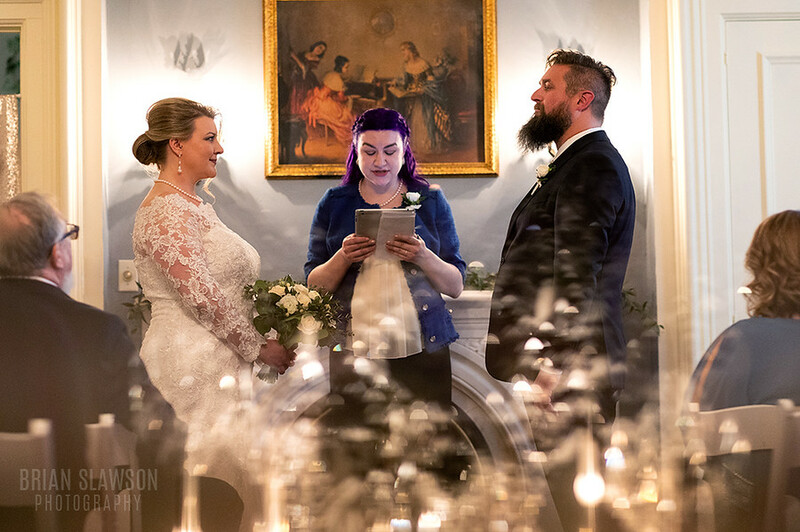 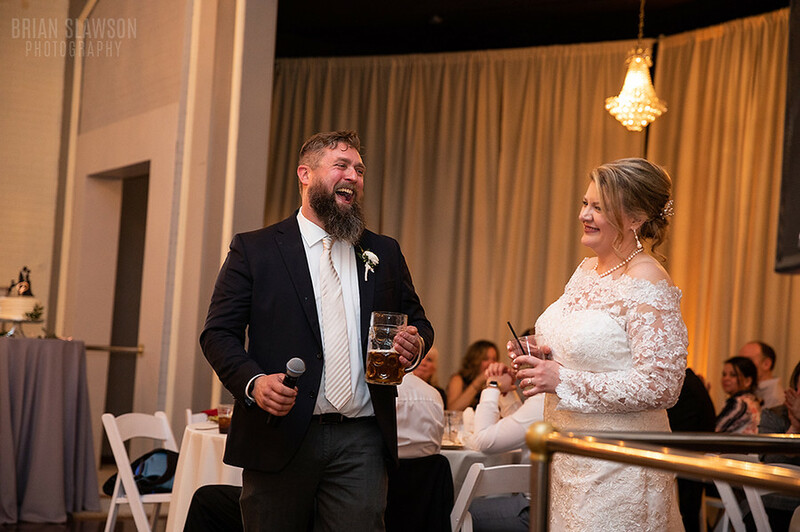 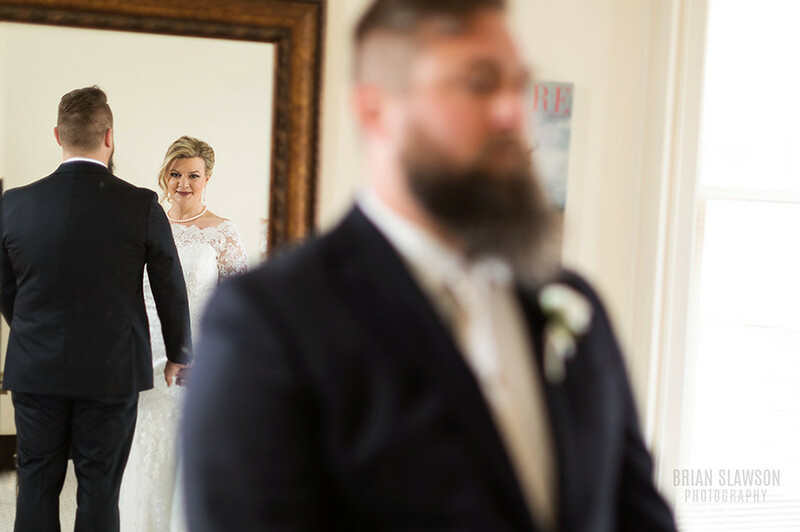 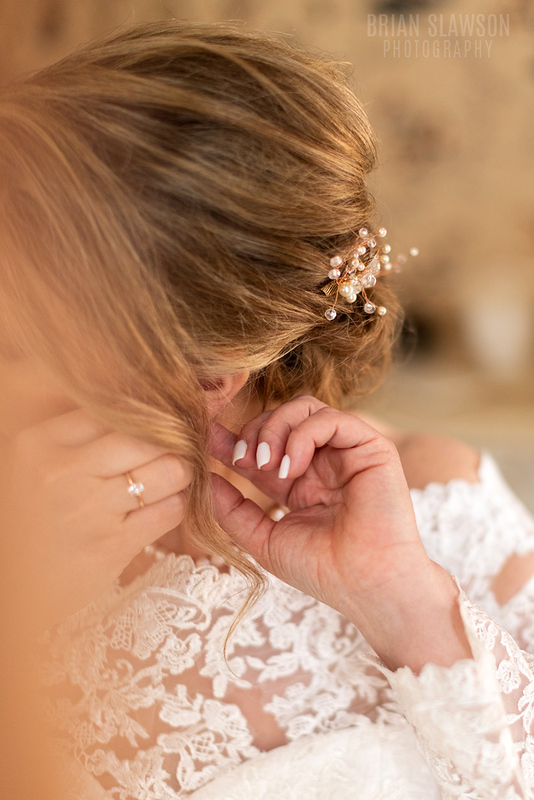 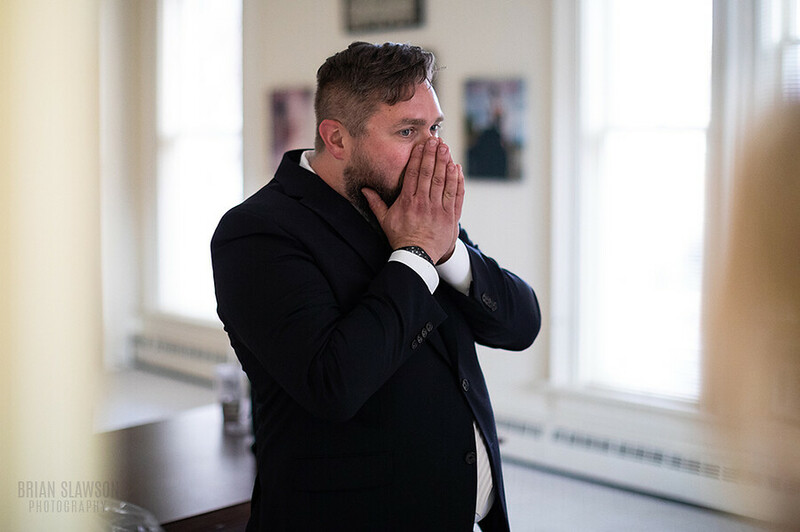 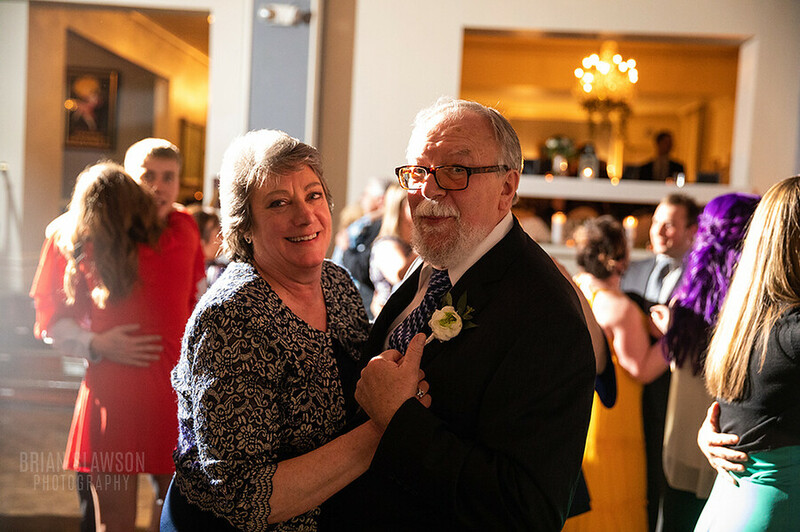 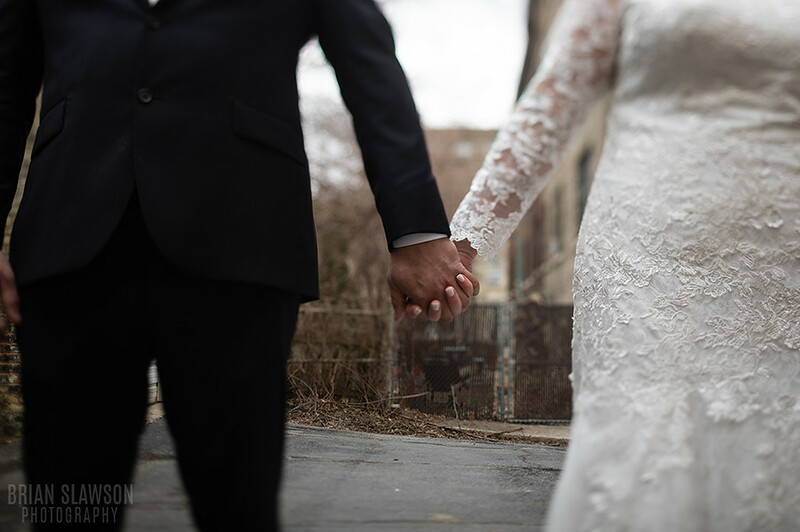 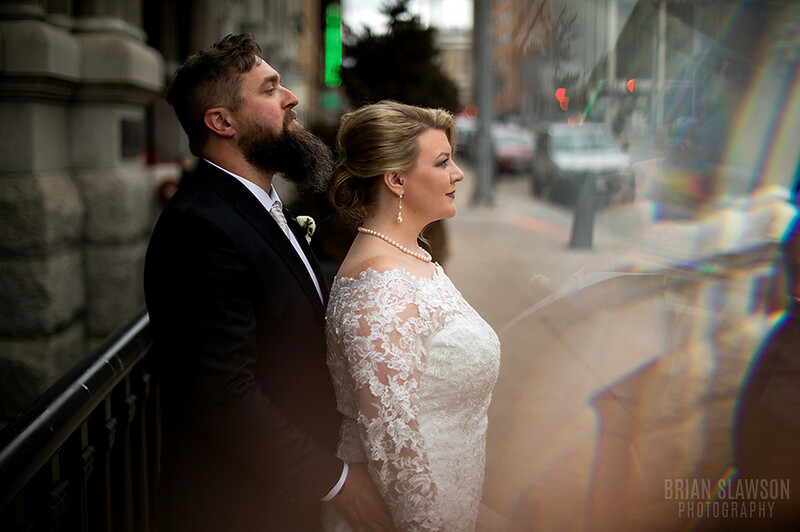 Jason Prill and Lizzie Sorensen got married on March 30th, 2019 in Milwaukee, WI. 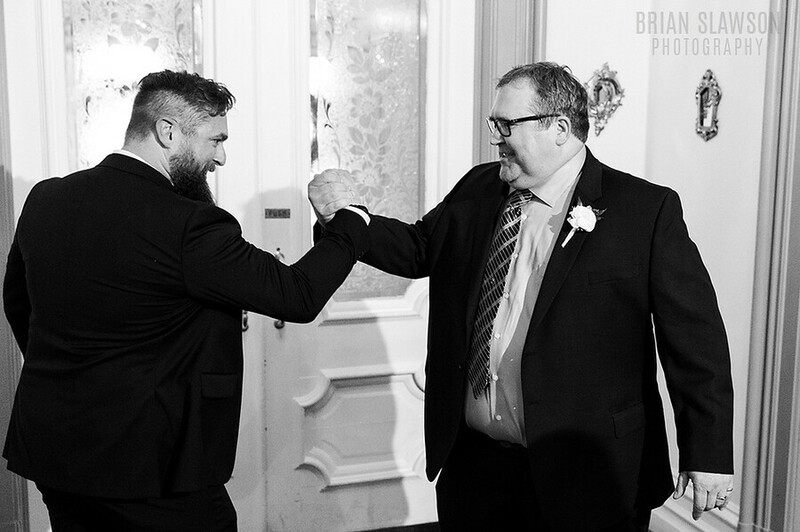 The photographers for the day were Brian Slawson and Luke Wein. 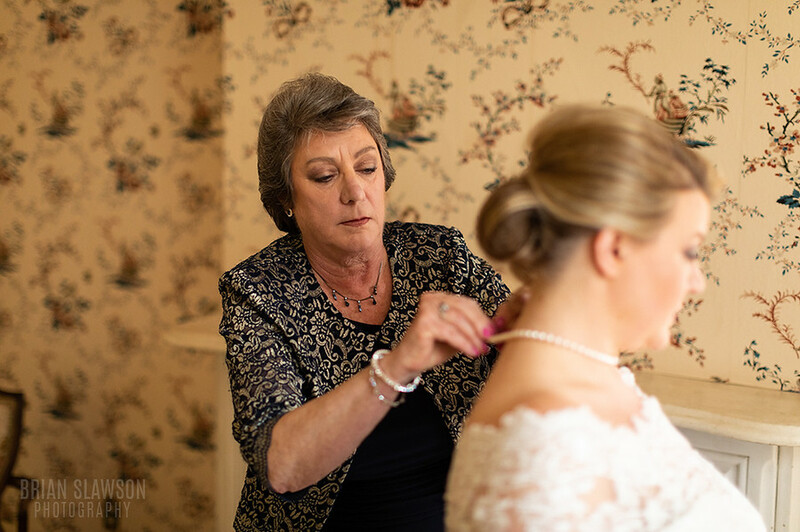 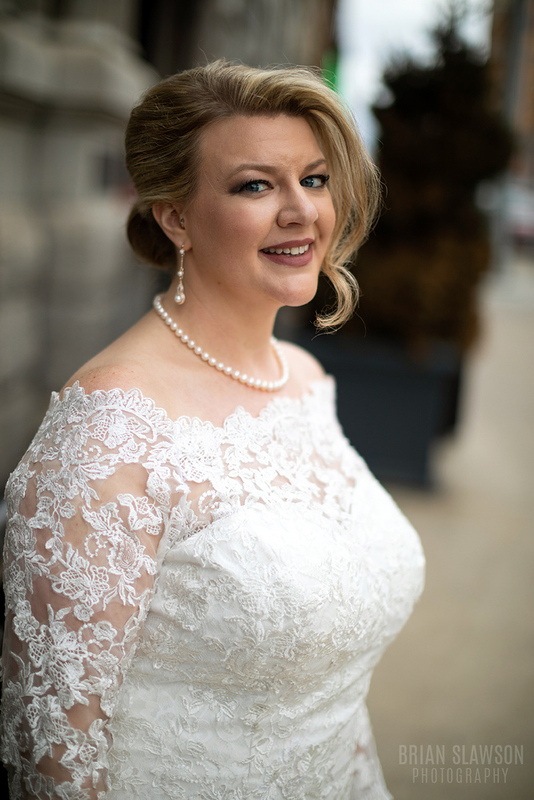 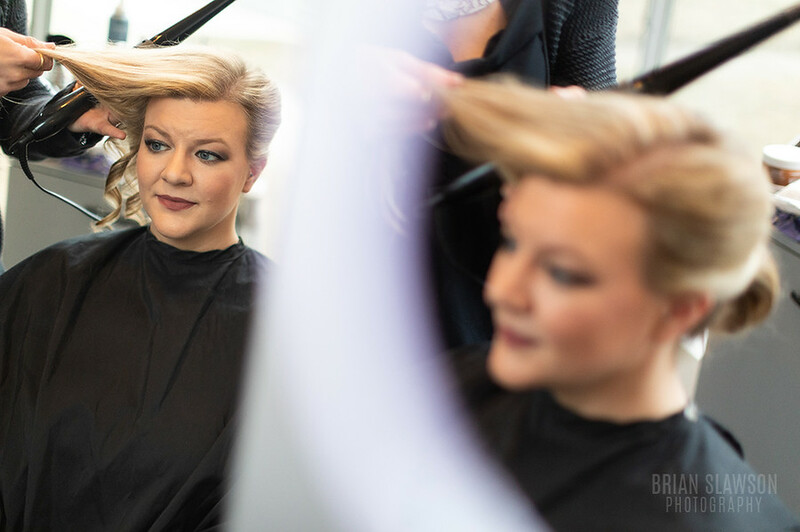 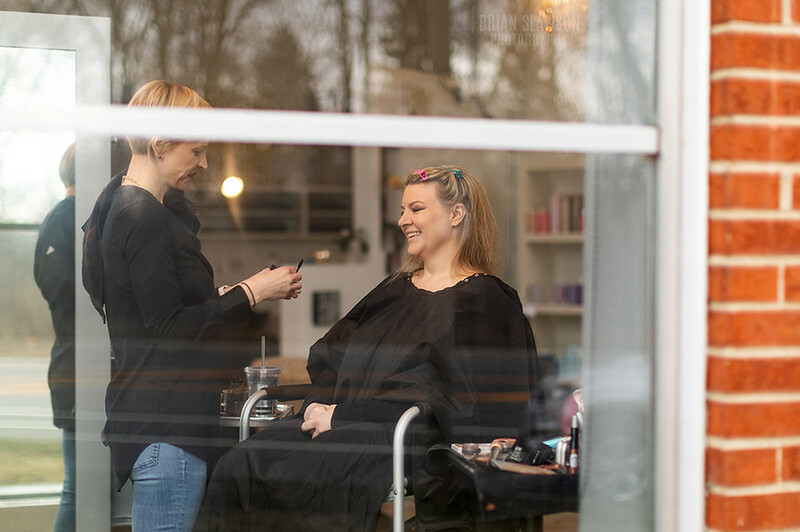 Lizzie had her hair and makeup done at Wanderlust in Shorewood. 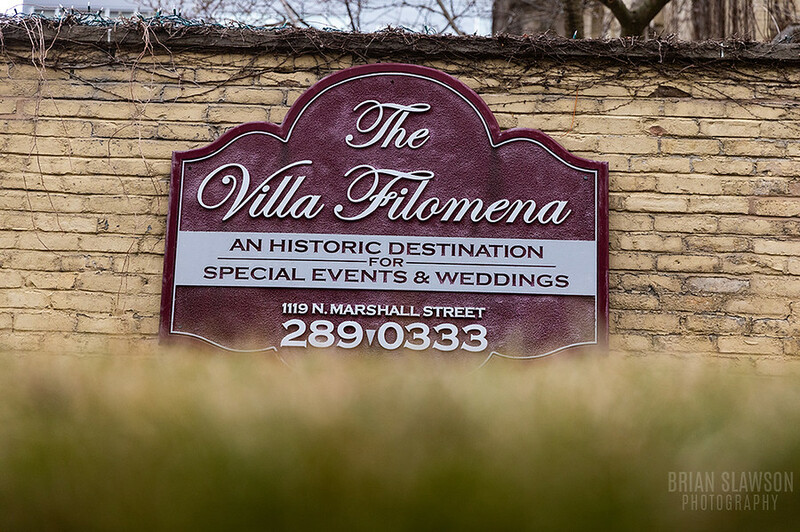 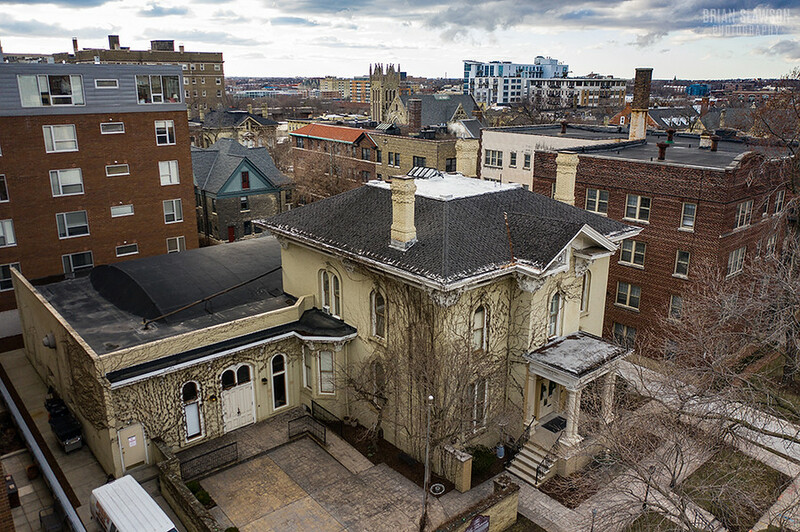 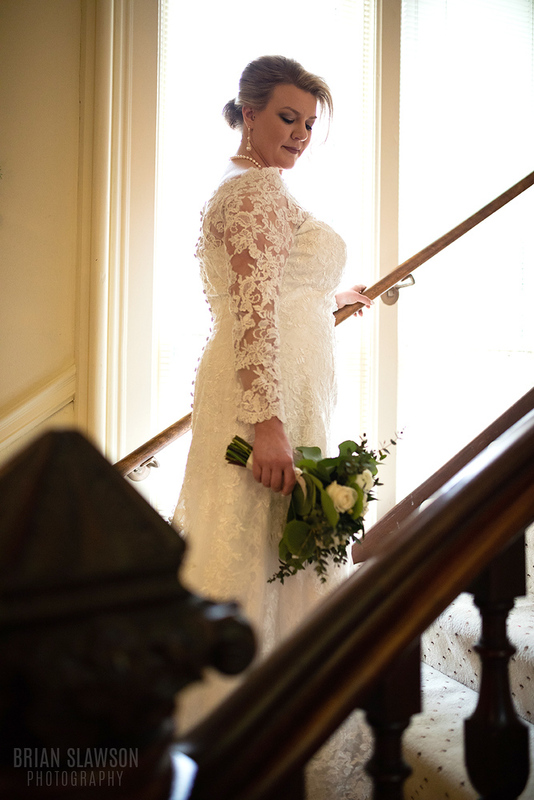 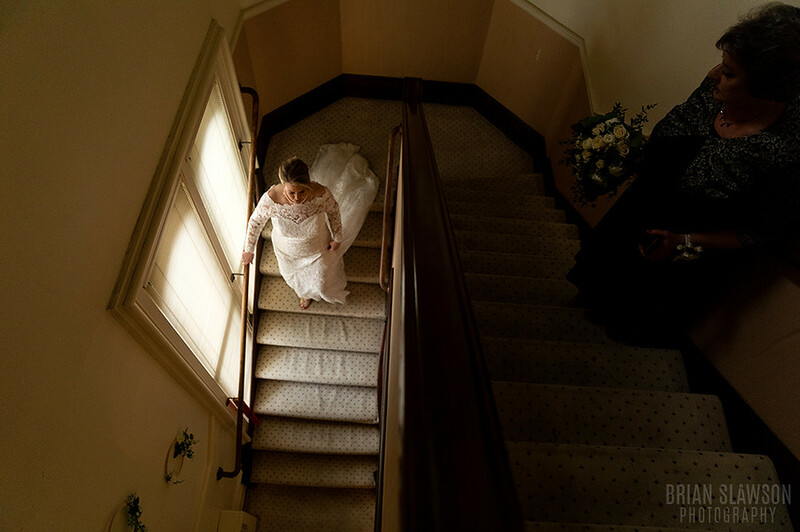 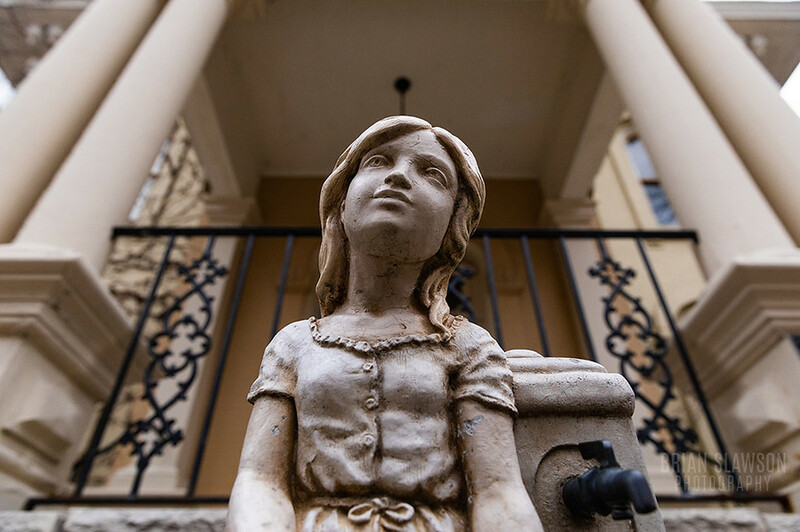 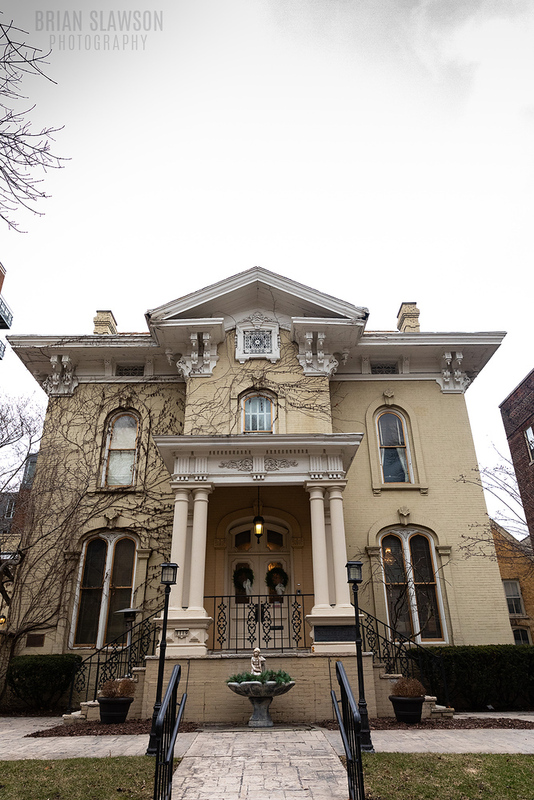 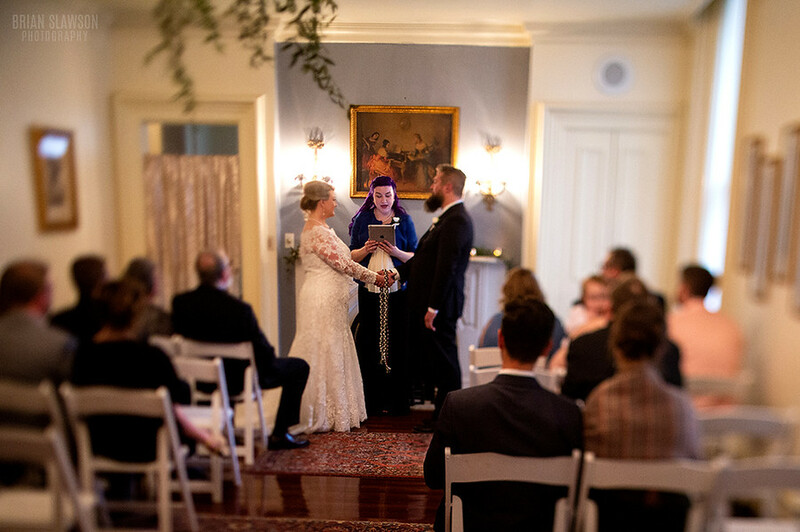 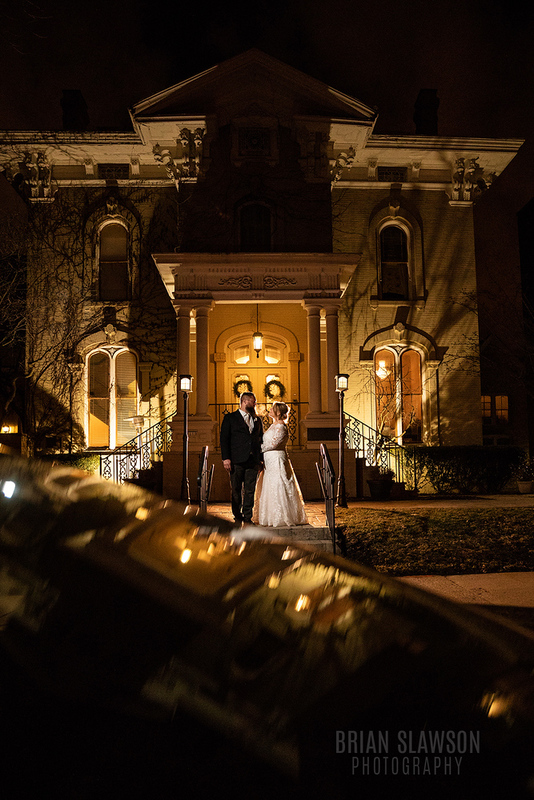 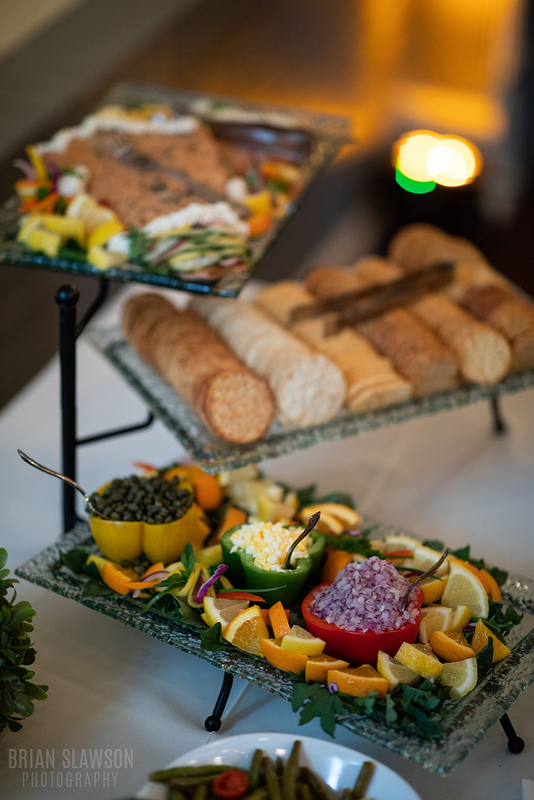 The ceremony and reception were at Villa Filomena in Milwaukee (where Lizzie also happens to work!). 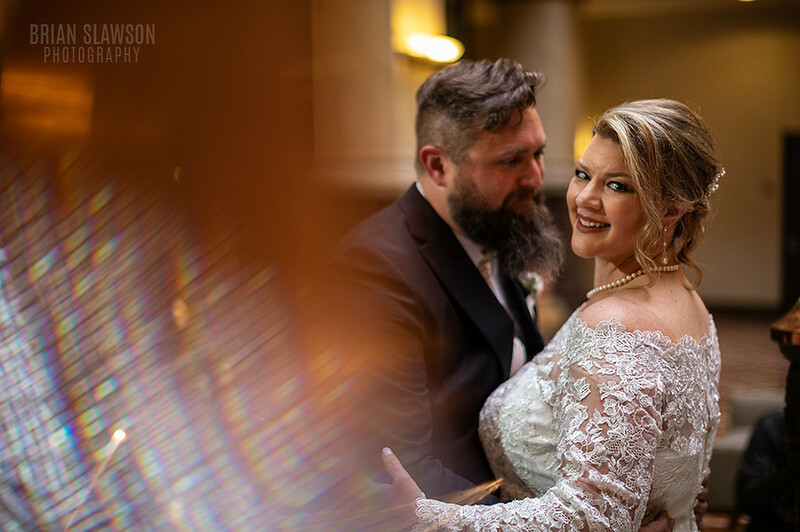 We ventured out and took some photos at the Hilton Hotel in between. 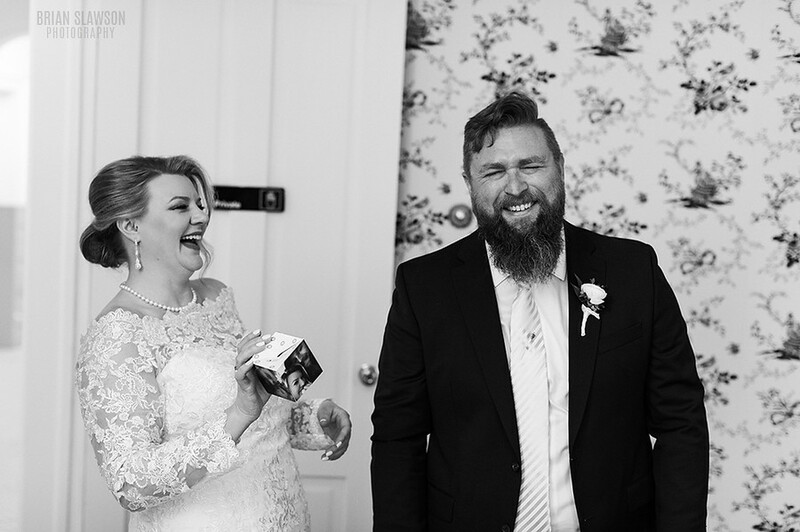 My goodness, these two made me laugh so much! 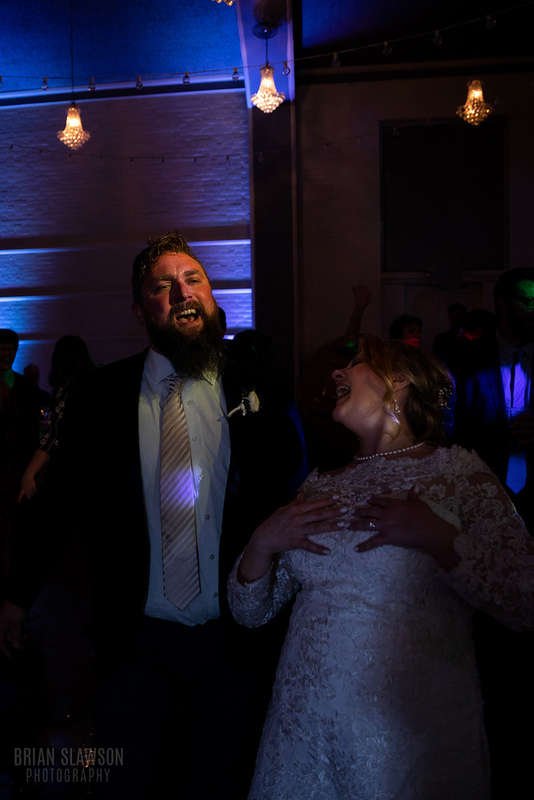 Just before the reception Jason ripped his pants beyond repair. 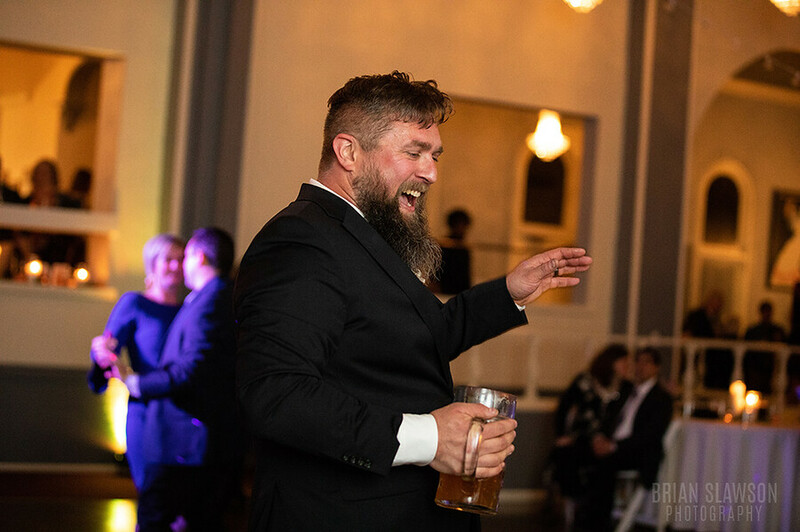 I think a lot of people would conceal that fact, but you gotta love how Jason just grabbed the mic and told all of the guests what happened! 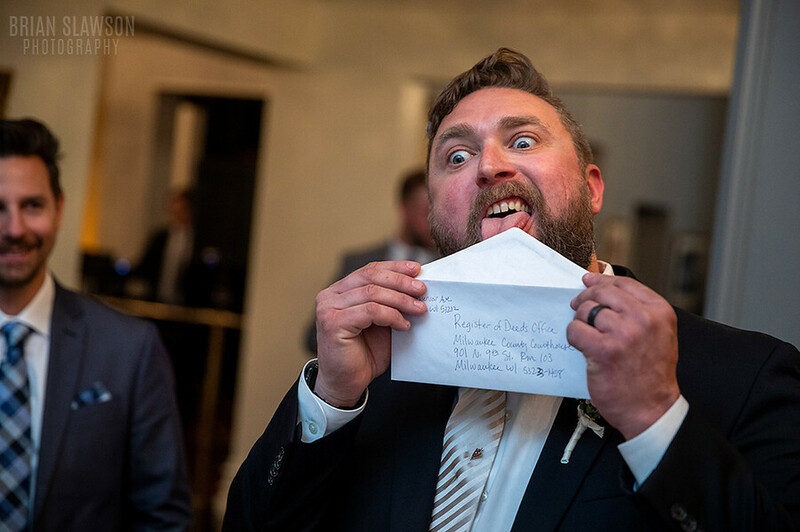 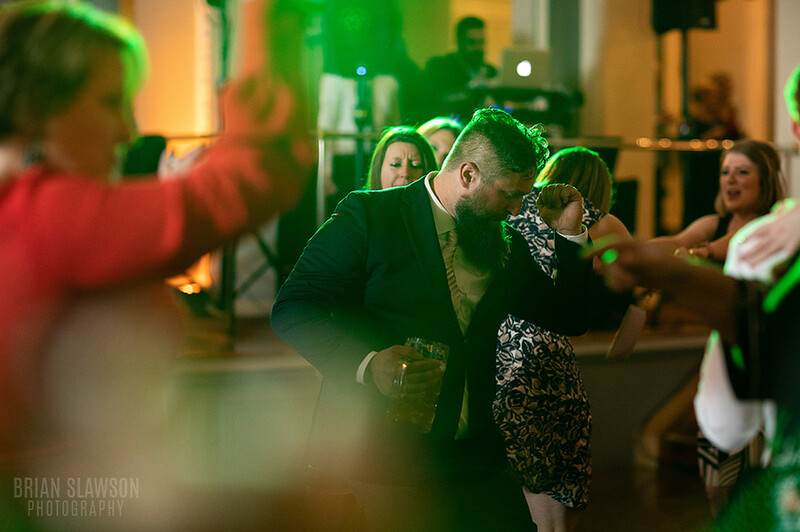 (Gives a whole new meaning to sidesplitting laughter…) Congrats again to the newlyweds! 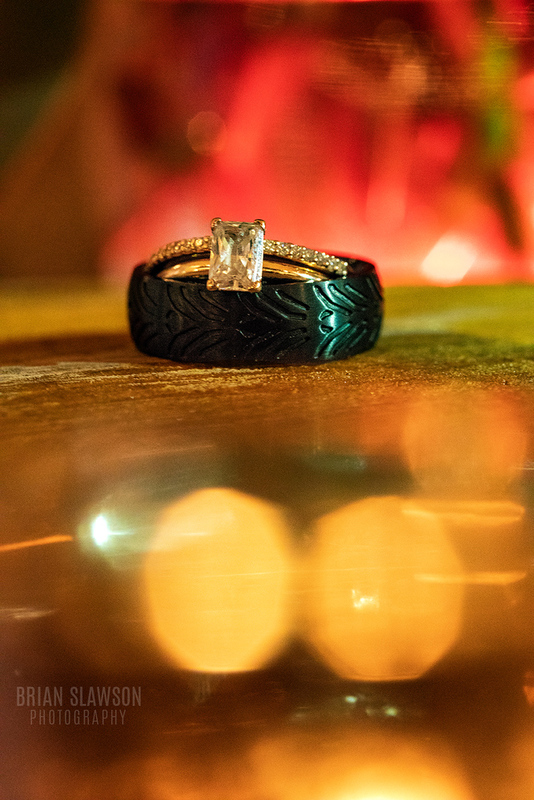 Here’s a selection of some favorites. 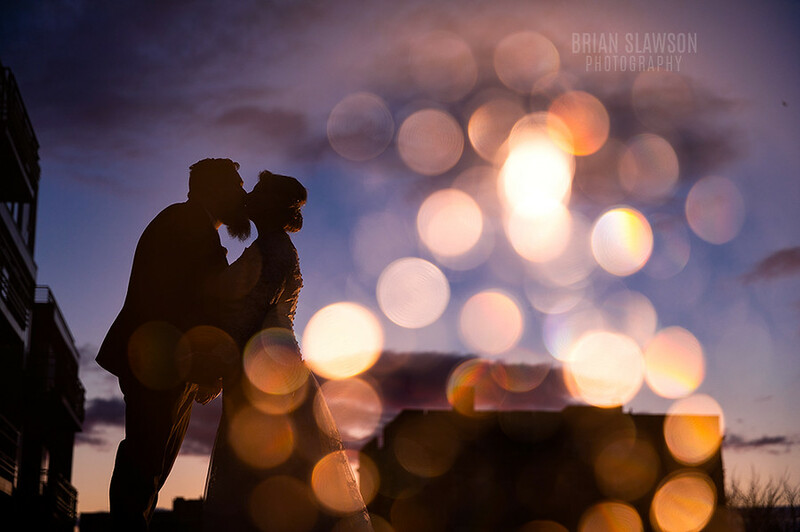 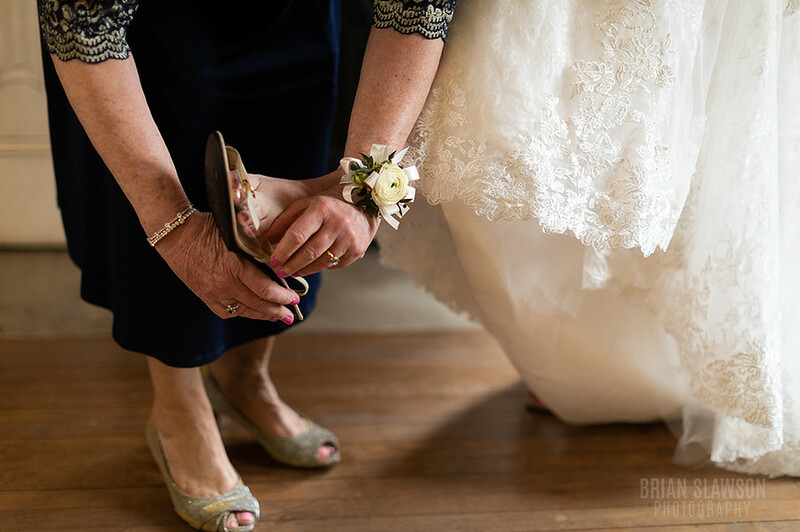 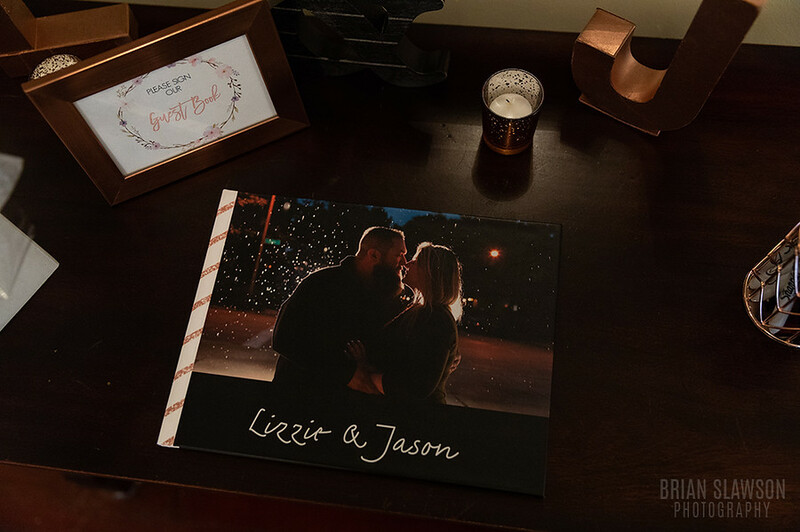 Lastly, take a look at Jason and Lizzie’s engagement shoot HERE.